In an internal court yard of the hotel there are a parking place, open pool with heating and restaurant with a summer terrace. For children - a play ground with a swing and a modern hill-cascade for cheerful dissention in pool. 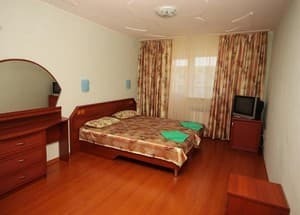 For the visitors’ service there are always comfortable rooms’ ready of deluxe class, consisting of a living room with soft furniture and a cozy bedroom. 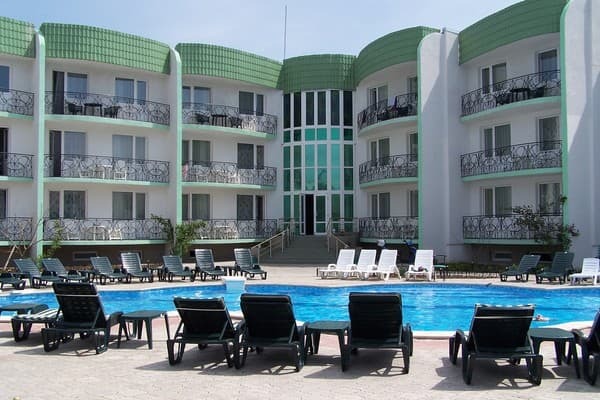 In each room you can find a conditioner, safe, phone, a cable television, a refrigerator, a central heating and a balcony. Placing up to 4 persons is possible. 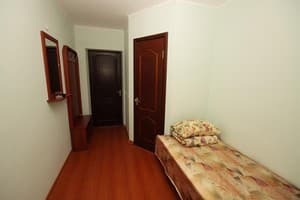 For the most demanding clients there are apartments of the high comfort - the living room, two convenient bedrooms, kitchen with a stove, a refrigerator and dishes. Placing up to 6 persons is possible. Supply of the cold and hot water is constant. 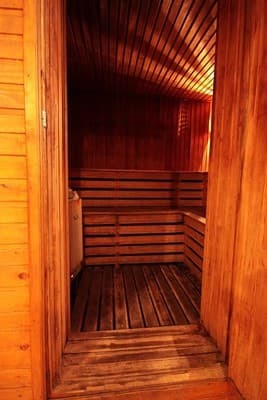 Always is possible to reserve a sauna or bath, dinner to rooms or call a taxi. In case of the emergencies, visitors are allowed to use the computer, fax, printer and copier. 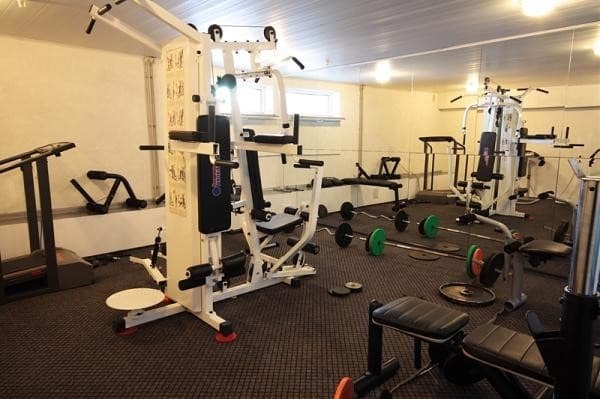 The use of the pool, beach and guarded parking place are included in residing costs. Description of the room: One room with a single bed. 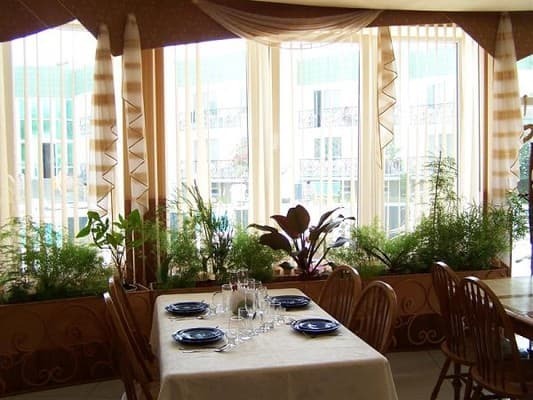 Description of the room: Elegant living-room, two comfortable bedrooms, a kitchen with stove, refrigerator and utensils. 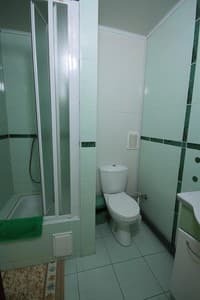 The room - bathroom, air conditioner, telephone, cable television, refrigerator, central heating, balcony. Can accommodate up to 6 people. Cold and hot water. Description of the room: The two-room suite consists of a living room and a bedroom and a small hallway. Description of the room: Consist of: living room-hallway, two bedrooms, kitchen with built-in appliances and bathroom with bath. Description of the room: The superior apartments are an elegant living room, two comfortable bedrooms, a kitchen with a stove. 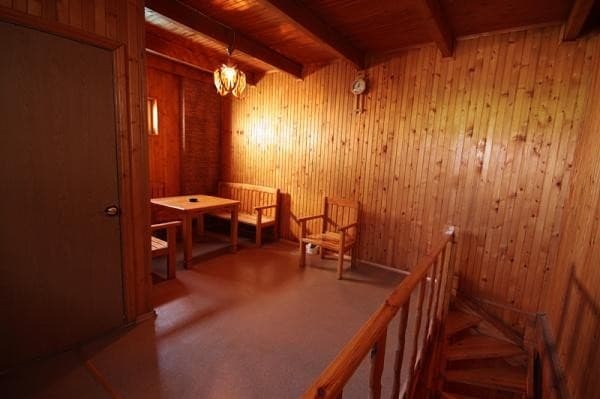 In the room there is a bathroom, air conditioning, telephone, cable TV, central heating, balcony. Хотелось бы в иметь в номере чайник/микроволновку. Понравилось всё - начиная с ресепшна, на котором только я вошёл в гостиницу, меня назвали по имени-отчеству, сказав, что ждут именно меня. Уборка номаер - каждый день, замена полотенец -также. Уровень обслуживания в ресторане - на пять с плюсом, качество еды - такое же. Уровень защищённости нормальный, посторонних на территории отеля не было. Всё очень понравилось, замечаний нет. Children under 7 years are provided with the additional place for the additional price. New, modern hotel "Liana" is situated in the central part of a resort zone of Evpatoriya, in a quiet city district near the city center.